On a recent trip to Boots I found myself at the Bourjois stand. I have to admit that I've never tried anything from Bourjois before (I know,I know.. bad blogger) but there's currently a 2 products for £14 offer on so I picked up the Bourjois Volume Clubbing Ultra Black Mascara and Bourjois 123 Perfect Foundation (review coming soon). 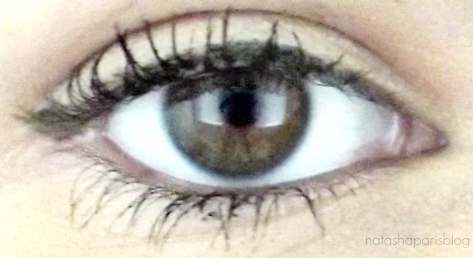 When choosing a new mascara I like to go for one that's going to give my eyelashes some volume. The Bourjois Volume Clubbing Ultra Black Mascara provides my lashes with volume but also adds length too. The mascara itself is very dark and pigmented - perfect for a night out or those days when I want to go for a slightly more dramatic eye look. The mascara wand is a double sided brush with three sections of bristles, each of which are seperated by what Bourjois calls 'product reservoirs'. I assume that the purpose of these is to ensure that the right amount of product is picked up to evenly coat the eyelashes. On a negative note, the 'product reservoirs' can pick up a little bit too much product sometimes and this can lead to the eyelashes looking a little bit clumpy. Of course the excess product can be removed easily but when I'm rushing to get ready on a morning it's not my first priority (and it seems a little bit wasteful too). Despite not being waterproof the Bourjois Volume Clubbing Ultra Black Mascara claims to be 100% sweatproof and tearproof. I don't often find that products live up to such impressive claims but this mascara is an exception. Now I'm not a clubbing kinda girl so I couldn't comment on whether this mascara is able to withstand a 'night on the tiles' (does anybody even say that anymore?!).. but I've found this mascara has stayed put through a few tears (when one of my friends left work) and an eyebrow wax - pretty impressive right? Although this mascara has great staying power it isn't too difficult to remove unlike others I've tried in the past (Benefit They're Real I'm looking at you..). A regular eye make-up remover should do the trick. 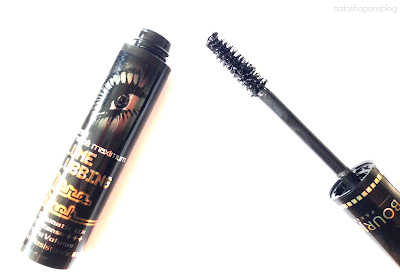 The Bourjois Volume Clubbing Ultra Black Mascara is available to purchase here for £7.99. Have you tried this product? Or do you have any Bourjois product reccomendations?